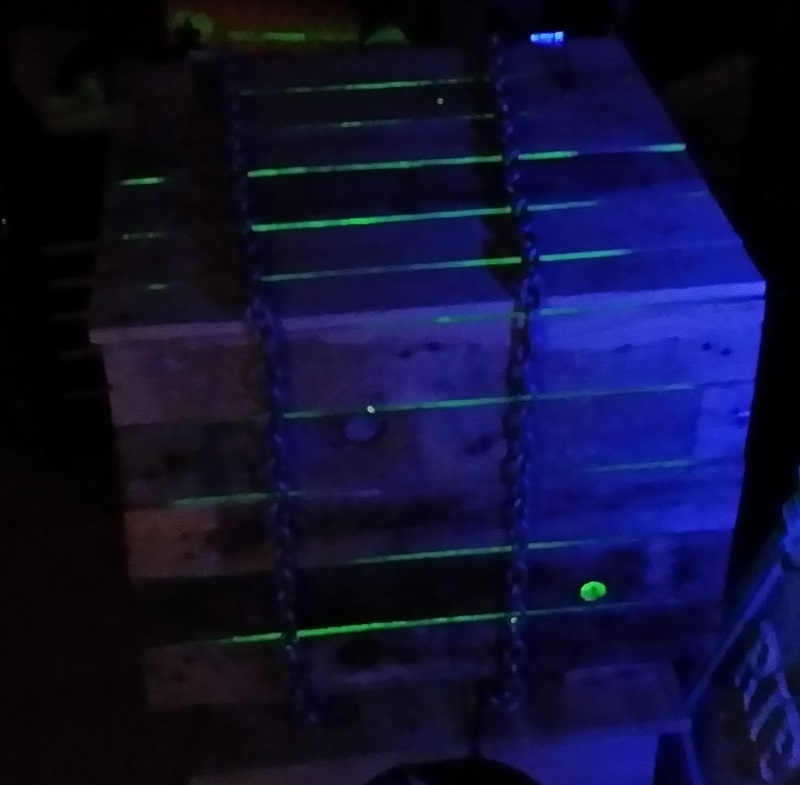 Years ago I saw a video of a monster crate and thought I’d like to build one someday. 2015 was the year I started Halloween and this seemed like an easy build. 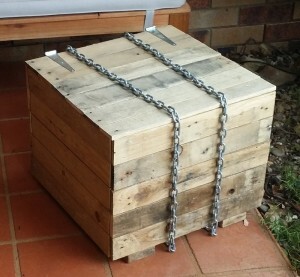 The box was made from scrapped pallet timber. A car door lock actuator was mounted on the inside, towards the front. 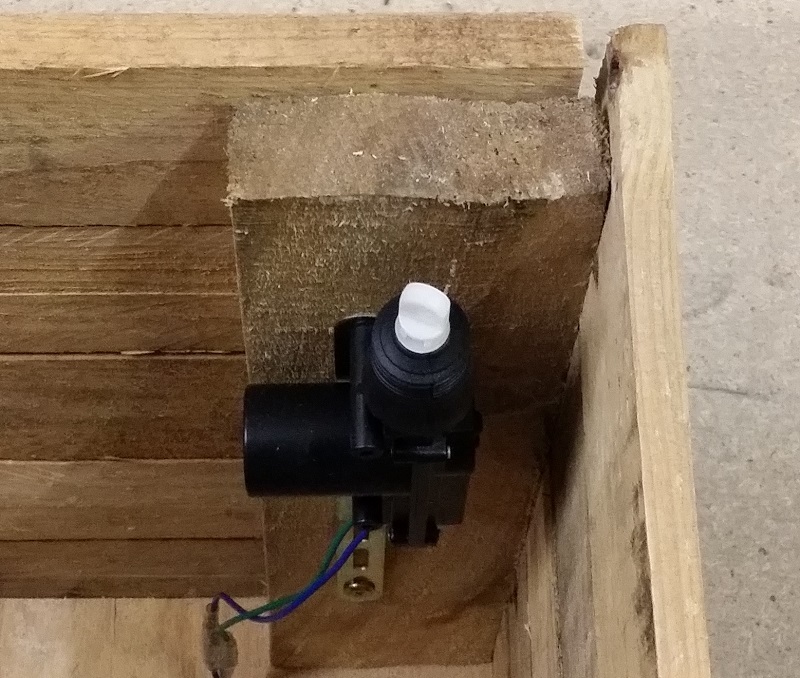 The lid pushes the actuator back down when power is removed. This means I only need a single polarity to energise the actuator. 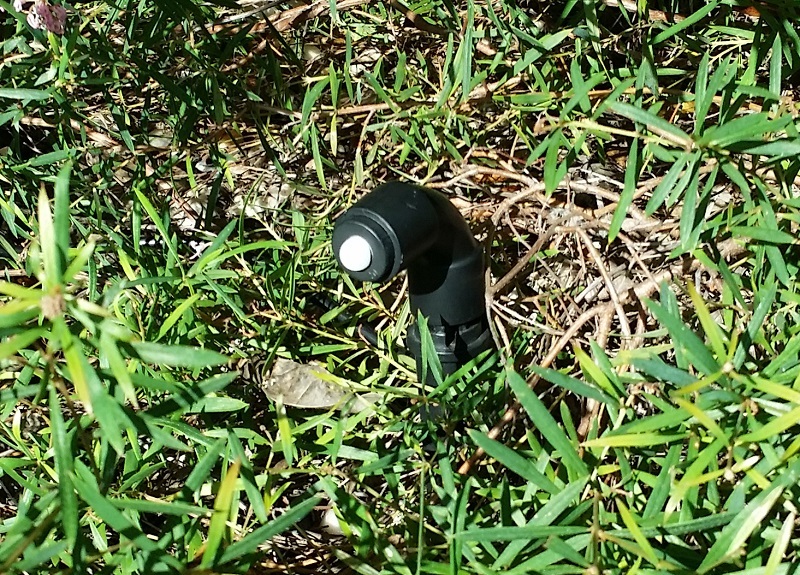 The actuator only has a short stroke, but it is cheap and worked well. I mounted the control board remotely this year, but will integrate it into the box for 2016. I threw some 12V RGB LED modules in the box. 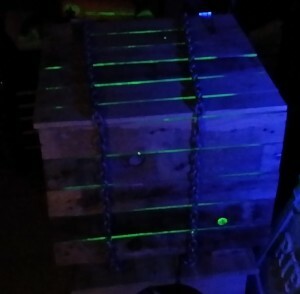 They shine through the gaps between the boards. It may have looked better with slightly larger gaps. The chain gives the illusion that it is limiting the lid opening. 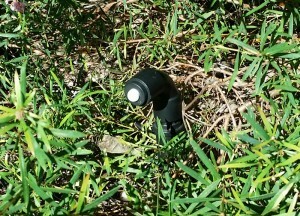 A miniature PIR was mounted into a painted PVC conduit cap and 90° bend. 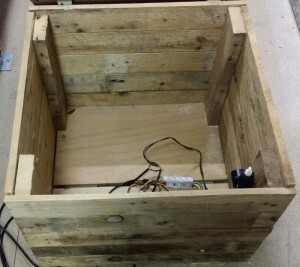 This wires into the controller board so the crate only activated when someone walks by. The box itself is pretty simple. I’m not very good at woodwork, but I’m happy with the result. I may cut the height down by one plank width for 2016. 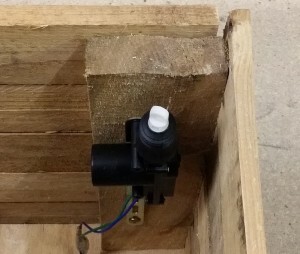 The car door lock actuator pushed up on the wooden lid. but the low duty cycle helped keep the temperature rise down. fire the actuator at full power, then PWM it down once extended. I’ll also put the controller board inside the box next time.